Versatile Clamp System Can Be Used to Mount Lights, Cameras, Antennas, etc. 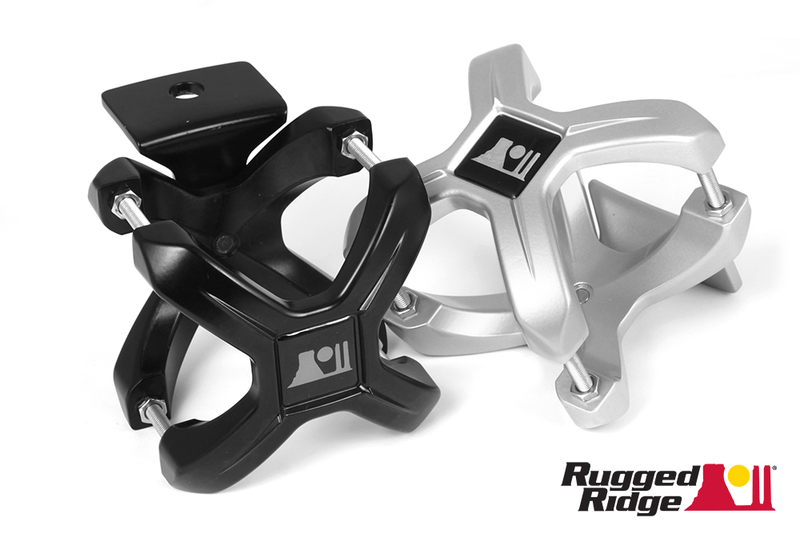 Suwanee, Ga. (January 9, 2013) – Following their debut at the 2013 SEMA Show,Rugged Ridge® today announced the availability of its new patent pending X-Clamp Mounting System. Designed to be extremely versatile, the new X-Clamp system is an innovative way to mount lights, cameras, antennas and more on any 2.25 – 3-inch diameter tubing, regardless of the vehicle they’re being mounted to. 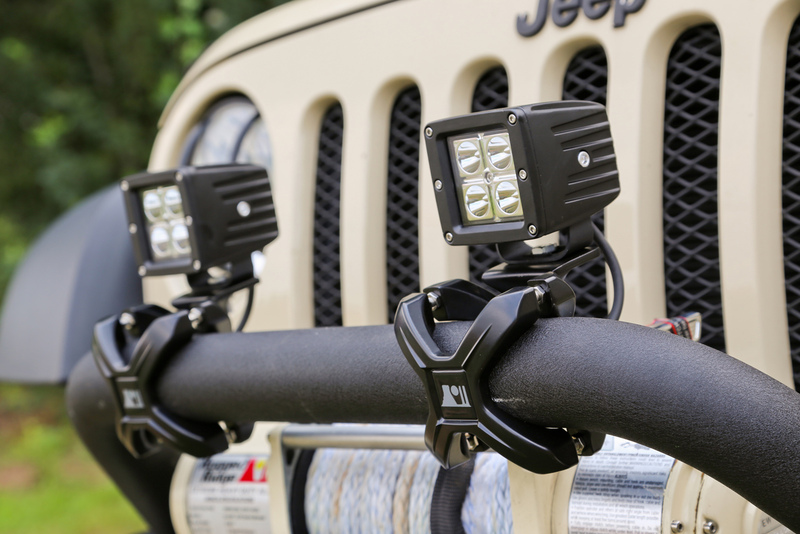 Available paired with or without Rugged Ridge’s three-inch LED driving lights, the X-Clamp system from Rugged Ridge is constructed from high-quality die-cast aluminum and is available in either black or silver powder coat finishes. Simple to install regardless of the application, each clamp can be installed by rotating it to fit the tube diameter, pivoting the mounting bracket to the desired position, and adding the preferred accessory. The Rugged Ridge X-Clamp Mounting System is available online and through select Jeep® and off-road parts/accessories retailers nationwide starting at $29.99. For more information about Rugged Ridge’s complete line of high-quality Jeep and off-road products, or to find an authorized retailer, contact Rugged Ridge at (770) 614-6101 or visit its website at www.RuggedRidge.com. Omix-ADA®, Inc. is one of the world’s largest independent manufacturers and wholesaler of Jeep®, truck and off-road parts, accessories and floor liners. For two decades, Omix-ADA has designed, tested, manufactured or distributed more than 16,000 of the highest quality restoration and replacement parts and accessories. The Omix-ADA family of brands, Rugged Ridge®, Alloy USA®, Outland Automotive® and Precision Gear® are distributed throughout the USA and in more than 70 countries worldwide. For more information, please call Omix-ADA, headquartered in Suwanee, GA at 770-614-6101 or visit www.omix-ada.com.